Activists protesting a prominent donor family's link to the opioid crisis unfurled banners and scattered pill bottles inside the Metropolitan Museum of Art. The protest started just after 4 p.m. Saturday inside the museum's Sackler Wing, the New York Times reports. The wing is named after brothers Arthur, Mortimer and Raymond Sackler, who donated $3.5 million for the wing in the 1970s. Mortimer and Raymond Sackler also owned Purdue Pharma, the company that developed OxyContin, a widely prescribed and widely abused painkiller. Purdue Pharma pleaded guilty in 2007 to misleading the public about OxyContin's risk of addiction and agreed to pay $600 million in fines and other payments. The protest was led by photographer Nan Goldin, whose work has been exhibited at many museums including the Met. Goldin started an anti-opioid group called Prescription Addiction Intervention Now, or PAIN, after being addicted to OxyContin from 2014 to 2017. She shouted, "We are artists, activists, addicts. We are fed up." The protesters threw pill bottles with labels that read "OxyContin" and "prescribed to you by the Sacklers" into the wing's reflecting pool. A spokesman for the museum declined to comment, and a spokeswoman for the Sackler family and a Purdue spokesman did not respond immediately to requests for comment. Officials at Purdue have previously said they would welcome a discussion with Goldin. The company has also said it has taken steps to limit the abuse of opioids, such as paying for prescription-drug monitoring programs. Arthur, Mortimer and Raymond Sackler have all died, but descendants of Mortimer and Raymond Sackler currently are principal owners of Purdue Pharma, which continues to sell opioids. 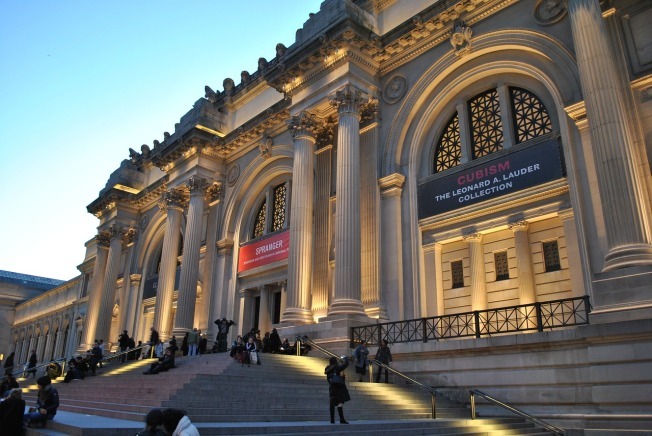 Foundations run by members of the Sackler family have given tens of millions of dollars to museums including the Guggenheim in New York and the Victoria and Albert Museum in London. The protesters called for cultural institutions to reject money from the family. Read NBC 4 New York's investigation into the opioid epidemic here.